UltraBlast i dont know what you mean (if you want to play with it or change name or change ship of course you can) but i repair my droids federal command station (without mods) so now it is better and unstoppable. why you ask? i challenged it with all build in ships (without mods) and it won with every of them there were problem with valor but with some more shield generators it destroyed valor (of course battles were 1v1 so non of ships were surrounded.) ship named terror was scared but it didn't do anything like first bullets go through but the rest didn't. Working on a new ancient weapon right now. It's supposed to be a Point Defense shotgun. If it works, missiles won't be existing for long. and yes, it is a ancient weapon. The oldest of the ancient weapons to be exact. UltraBlast Pseudo-Grammar-Nazi at your service. Joking, that's probably something wrong with the code regarding bullet on-hit events and the actual projectiles missing their target... I think you should ask @Walt about that - I remember him saying something about those errors. Please note: All mods with weapons are going to be broken in 0.14.2. If you wish to continue using this mod until I release GCW 0.4 (which will be compatible with 0.14.2), do not upgrade to 0.14.2 just yet. If you really want to upgrade to 0.14.2, go ahead. I added a test version thats compatible with 0.14.2. It has some of the upcoming weapons and parts, but not all. Enjoy! 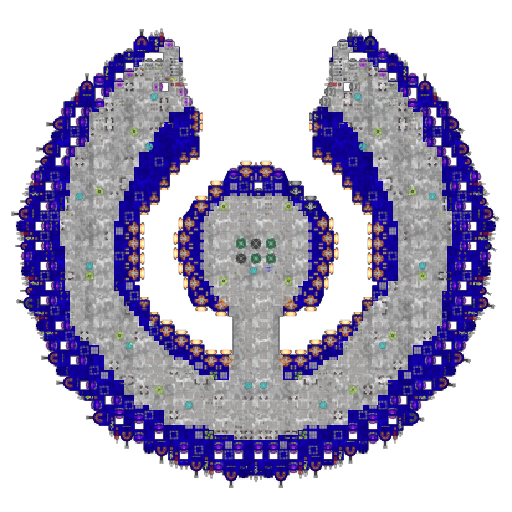 A question: How were you able to make those amazing sprites? The crash, I reckon might be from the Large Turrets, because the Large Turrets are a pain. A answer: I have a little bit of experience spriting from my HTML games which never got published. They are very crappy, but I picked up some skills and know-how from them. And also, I practiced. Alright, i guess i'll just practice my spriting.. Question 2: What program did you use to sprite? RedAndCosmoteer you're welcome. I also use Notepad++ for coding. Normal Notepad is not good enough for the job. UltraBlast When will this be updated to 0.14.2?